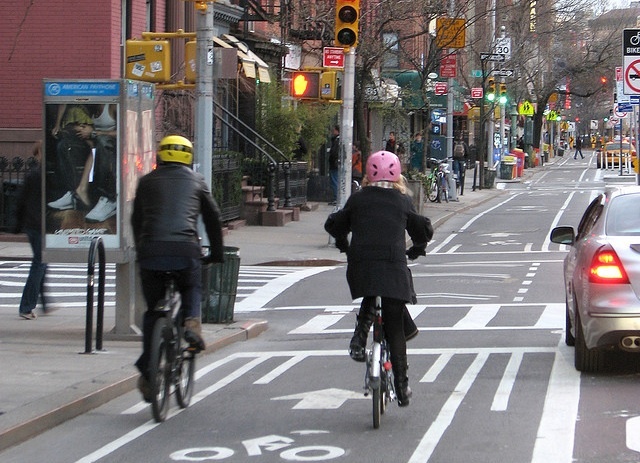 New York City’s extensive and sometimes contentious bike lane network has produced a positive economic externality for retail outlets, according to a report produced by the New York City Department of Transportation (NYCDOT). Vacant business store fronts along certain bike lane corridors have dropped 49-percent since their inauguration, and have increased retail sales along Fordham Road, a disadvantaged commercial corridor, by as much as 71-percent since its bike lane was created. The Brookings Institution, a Washington, D.C.-based think tank, has produced a report analyzing transit access and job linkages in the great Washington Metropolitan Area. The report finds that both proximity to housing and to work places disproportionately favors highly skilled workers, by a margin of up to 10-percent. Transit commuters, compared to those who drove alone to work, were more likely overall to be closer to the Federal poverty line, yet in Fairfax county – one of America’s wealthiest counties- transit riders earned up to $21,000 ( or 45.6-percent) more per year than drivers who lived in Fairfax. This report adds context to recently released research conducted by the Center for Housing Policy, which deems the Washington, D.C. Metropolitan Region one of the most affordable regions in the United States due to low barriers to mass transit access. The Intelligent Transportation Society of America (ITS America), a smart transportation system advocacy group, has investigated the role of CAFE (Corporate Average Fuel Economy) standards in changing the electric car marketplace and the formation of a “smart grid” of electric car infrastructure. The report has found that manufacturers will have an incentive to decrease vehicle size if battery efficiency/chemistry technologies do not become available by the time CAFE standards increase from 35.5 miles per gallon (15.1 km/l) to 54.5 miles per gallon (23 km/l). The American Association of Retired People (AARP) Public Policy Institute has analyzed the impact of the so-called “baby boomer” generation -those born between 1946 and 1964- and their impact on domestic private vehicle consumption and road travel. As a generational cohort, baby boomers have consistently outpaced all other cohorts in per capital miles traveled and as the latest available figures (2009) alone make up 42-percent of vehicle miles traveled per day in the United States. As this generation ages into retirement and out of safe driving age, per capita private auto trips have dropped among baby boomers while transit trips have increased in the period from 2001 to 2009, suggesting a gradual increase in sustainable mobility. Research Recap, August 27: Latin American Urbanization, U.S. Carbon Emissions, "War On Motoring"
Tags: cars, cycling, mass transport, New York City, North America, United States, Washington, D.C.